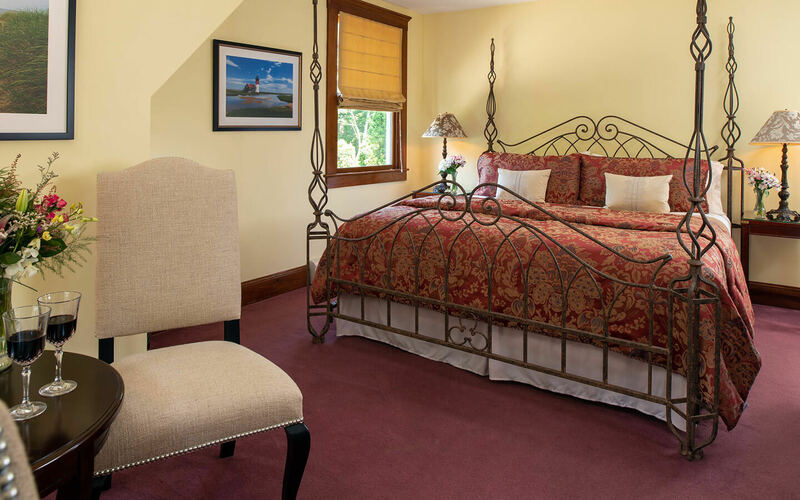 The most private premium room at our Falmouth bed and breakfast in Cape Cod. Third floor room in the newer section of the Inn. 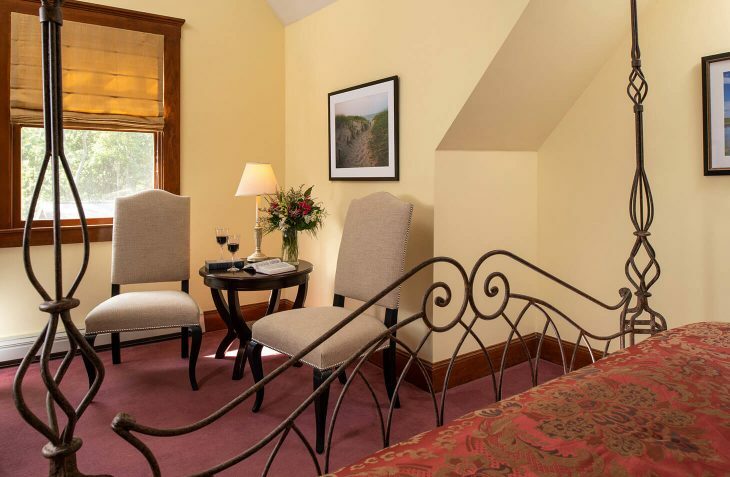 Private mini-parlor with a tall cathedral ceiling, coffee maker and refrigerator. Room size: 272 sq. ft.